In just a few days we will be able to see a total lunar eclipse before bedding down for the night. On the night of Sept. 27-28, when the moon is full in the sky, most of North America and all of South America will be able to witness this event. 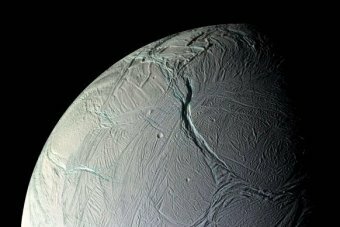 According to new research using data from NASA’s Cassini mission, a global ocean lies beneath the icy crust of Satrun’s geologically active moon, Enceladus. On a northern slope of Hawaii’s Mauna Loa volcano, six scientists have isolated themselves from the rest of the world for a year. They are attempting the longest Hawaii Space Exploration and Analogue Simulation (HI-SEAS) mission ever, spending 365 days cut off from Earth as if they were on Mars. The idea is to test the psychological effects that come with the extended periods of isolation astronauts would have to endure in a Mars mission.